The schedule have boarding points at Coonoor, Gandhipuram, Pollachi, Udumalpet, Palani. The passengers to Tirunelveli, Nagercoil and Marthandam will be able to book in the bus and travel. We recommend our readers to book the seats well in advance of 60 days before travel for hassle free travel experience. 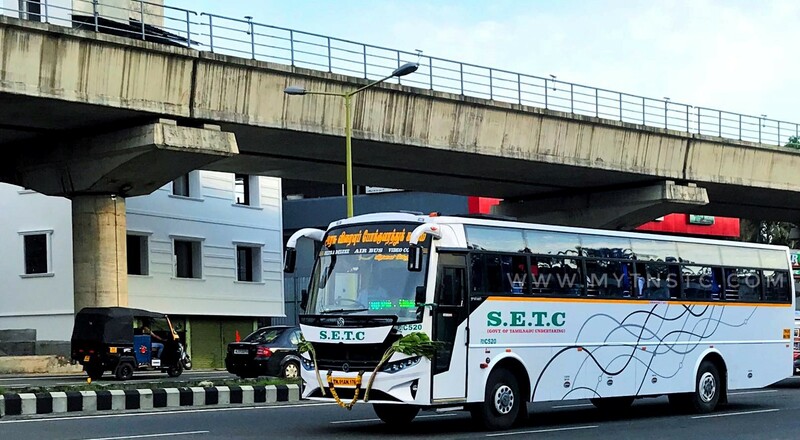 The fleet of SETC is been improved with state of art body building from Private Pioneers Prakash. The bus schedule passes through Coimbatore, Pollachi, Udumalpet, Palani, Tirunelveli, Nagercoil, Marthandam and final destination to Trivandrum. The travel time from Ooty to Trivandrum is estimated at 15 hours covering 626 kilometres, the time and distance may vary due to traffic and road conditions. The fare for the service is fixed at Rs.660 per adult passenger, excluding the reservation charges. The booking is also listed other bus booking sites such as redbus and paytm.